I wish my cakes were Jane Asher beautiful (www.janeasher.com) - my favourite is wonderland wonder - although £1295 for a kids birthday cake? clearly I'm in the wrong business! My best birthday cake was made by my mum and looking back it was quite basic but at the time I thought it was magical. It was a treasure island cake, with buried treasure in it. Anyway, this rustic, slightly lopsided creation was really light, moist and delicious so I thought you'd forgive my lack of presentation skills. the biggest mistake I made was drizzling the icing over the top before it had properly cooled, so the icing kind of melted into the cake instead of lying in a neat zig zag pattern across the top. - so don't do that! I made this after a lovely walk with Kia (whippet) on Saturday. I know we've had some rain this weekend, but also had some beautiful bits in between - not bad for the middle of November. Rainy days are perfect for baking and watching movies - which is exactly how I spent my weekend. Went to see "The Imitation Game" on Sunday - so good, I recommend it...........and can't wait for Mockingjay next weekend! 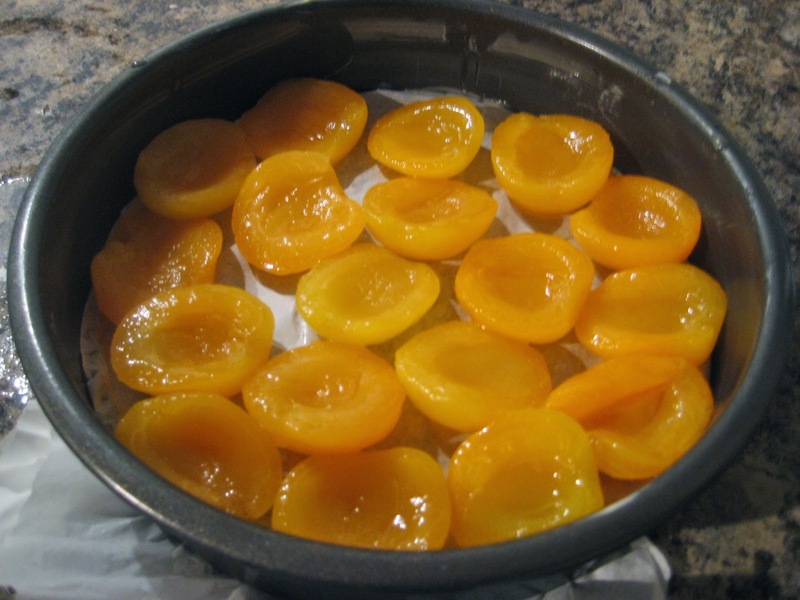 drain the liquid off the apricots, and place them in the tin as shown. bake for 65 mins in the centre of the oven. 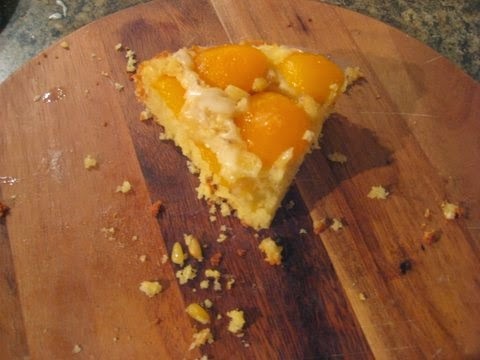 the cake should be firm to the touch and golden brown on top. If you poke a skewer in the middle it should come out clean - if it has a "uncooked cake mix" on it, it needs a little longer. leave to cool - you want it completely cool to the touch. 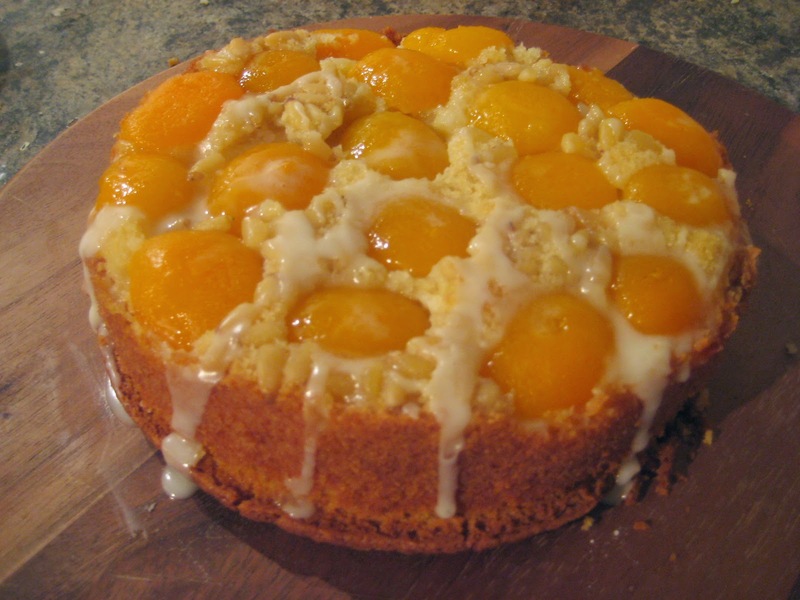 mix 4 tablespoons icing sugar with a little orange juice or water (about 1 tablespoon, but you may need to play around a bit with the icing sugar/ liquid ratio to get the desired consistency!, drizzle the cake with the icing.